Inbound marketing can be an effective tool if you remain consistent with your branding. Inbound marketing and branding are two ideas that may seem to contrast each other. Branding is how people view you, while inbound marketing is how people locate you. You will spend lots of time and money cultivating a brand. If you’re fortunate, your brand will become famous and recognized worldwide; however, all of the people who recognize your brand are not necessarily potential customers. That’s where your inbound marketing can help. Thanks to the Internet, sharing your brand is easy; however, the Internet can also just as easily contribute to the destruction of your image. Inbound marketing channels, which are how your customers find your business, must always retain your branding. One blunder can create a scandal that will be difficult for your brand to overcome. 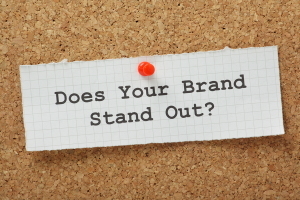 Here are three ways to ensure you maintain a consistent brand for your inbound marketing. The manner in which you resolve a customer’s pain point is known as your value proposition. This is core of your brand. Everything else—logo, colors and tone—help with recognition, but your brand is largely the value proposition. Every inbound marketing channel you use should keep the value proposition as the main focus. Your company’s blogs should discuss the pain point and offer solutions. Your social media marketing should also first address how you can solve a customer’s problems. Then you can move on to more entertaining posts. Inbound marketing involves leading customers to your brand and fostering confidence among those who utilize your services. Not taking the time to highlight your value proposition can weaken your brand and confuse potential customers. Your customers make up your brand just as much as the products and services you offer. It is critical to understand the types of people who shop with you so you can keep your message clear. Buyer personas are useful when you’re creating content for blogs, using social media to communicate and responding to customer service requests. The first step is to generate content of interest to your buyers; however, equally important is to know where to place that content so the buyers will find it. Understanding the different types of customers you might have will allow you to better pinpoint what they do online and what websites they visit. You typically have one opportunity to reel in new customers. Content and social media marketing offer an easy way to strategically tell your story. You should seek to tell your brand’s story using all of your inbound marketing platforms. Customers will notice if you fail to do this or you deviate from the story of your brand. People who are familiar with your brand and content, as well as have a need for the product or service you offer, are the best prospects to target with your inbound marketing. You need to show those possible customers how your business can fix their problems. That is when those customers will go from potential to actual. To learn more about inbound marketing, contact us. 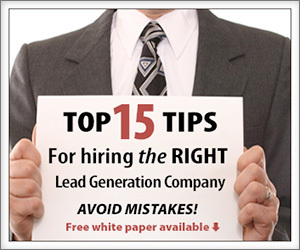 Our team specializes in B2B lead generation and telemarketing lead generation services and can help you determine the right marketing approach.